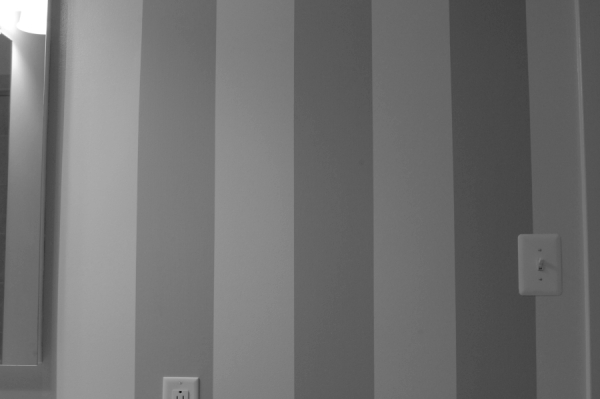 hand painted stripes on bathroom wall. . .10.5 ft. tall bathroom wall! 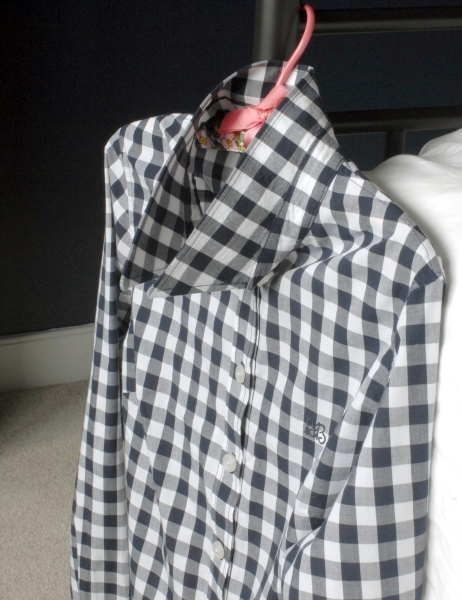 my new shirt ( I have mad love for navy blue gingham)! tagging along on work trips, visiting family and . . .preparing for Australia part 2! That’s right, on May 30 we will once again be heading down under for a month of work (for J), play and exploration. We are hoping to expand beyond the bounds of Canberra this time; any suggestions on must see places in the Sydney/Canberra region (remember, it will be winter while we are there)? For anyone who is not yet entirely sick of hearing about our first trip to Australia, here is a video my husband put together from the hundreds of clips he took in January (he went recorder crazy)! This entry was posted in this, that and the other, travel, video and tagged Australia, travel, video on May 10, 2012 by Brandy.